With so much of life based on electronic representations of reality, I see a society that is becoming more and more distracted and disconnected from nature and its rhythms, cycles and seasons. We no longer rely on observing the clouds, color of the sky and other signs of nature to detect what is happening in our environment. I use photography in an attempt to reconnect to these underlying elements and to explore ideas about beauty and the sense of serenity, power and scale, found in the diverse natural settings of the Florida wild landscape. 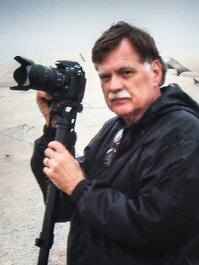 Biography: Don Sheffield’s professional career spans more than three decades and includes portrait and commercial photographer, educator, and artist. Sheffield has been a professor at the Art Institute of Fort Lauderdale since 1985. Memberships include the Professional Photographers of America, ArtServe, Broward Art Guild and Bonnet House Fine Artists.